AccreditedBail's Blog is intended to educate the public about the taxpayer savings and public safety benefits the private commerical bail industry provides. 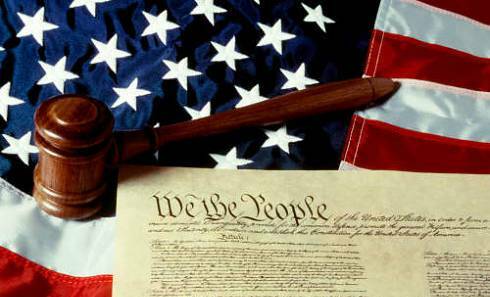 The Eighth Amendment (Amendment VIII) to the United States Constitution is the part of the United States Bill of Rights, which prohibits the federal government from imposing excessive bail, excessive fines or cruel and unusual punishments. Bail laws in the United States grew out of a long history of English statutes and policies. During the colonial period, Americans relied on the bail structure that had developed in England hundreds of years earlier. When the colonists declared independence in 1776, they no longer relied on English law, but formulated their own policies which closely paralleled the English tradition. The ties between the institutions of bail in the United States are also based on the old English system. In medieval England, methods to ensure the accused would appear for trial began as early as criminal trials themselves. By the end of the 19th century, commercial sureties were the normal manner of release. In the 60’s there was pressure to develop alternatives to money bail; in 1966 President Lydon Johnson signed into law the first reform of the federal bail system since 1789, which created presumption in favor of releasing a defendant on their own recognizance (ROR), or a promise to appear for court. As evidenced by numerous national studies, such unsecured release has led to increased failures to appear for court costing the criminal justice system and taxpayers millions of dollars. The private surety bail industry has continued to ensure defendants appear for all court proceedings. Bail agents are financially and physically responsible for all defendants released on bail and use no taxpayer funds. But the industry is under increased attacks. By law, Judges must release defendants on the least restrictive conditions they believe are compatible for appearance at trial. When jails become overcrowded Judges are pressured to release individuals ROR rather than run the risk of setting a bail the defendant can’t secure. And then there are large government-funded pretrial services programs and credit card vendors who release defendants with little to no supervision. A proven method is defined as “having been demonstrated or verified without doubt.” The private surety bail industry has a “proven method” of release that guarantees the appearance of the defendant in court. If not, the bail agent is 100 percent financially responsible and not the taxpayer. This proven method has been verified through numerous national studies. Government-funded pretrial services programs began as a means to help indigent defendants charged with minor offenses secure release from jail. Today, they eschew any method of release using financial means – no matter the charge or the criminal history of the defendant – and don’t even consider indigency to be a factor for eligibility. Such programs have faced increasing scrutiny from elected officials and taxpayers as they have grown to become large bureaucratic programs fighting for their survival. Their latest tactic? They claim to use “evidence-based” practices that focus on innovation, technology, research, motivational interviewing and cognitive behavior! These programs claim such methods will ensure the most effective release decision is recommended for defendants – all on unsecured release. So how does it work you ask? Well defendants released under government-funded pretrial services programs are “interviewed and assessed” by asking a lengthy series of questions, many of which require specific personal information to be provided, and then pretrial services staff take such data and compile a “research-based” risk assessment to determine if the defendant will show up for court and not re-offend while on release. Your tax dollars at work here! 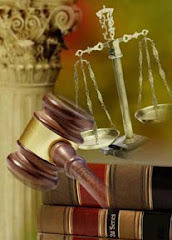 What type of questions is asked of defendants? Let us tell you. Have people annoyed you by criticizing your drug use or drinking? Have you ever felt guilty about your drug use or drinking? Have you had an eye opener the first thing in the morning to steady nerves or get rid of a hangover? Do you ever use drugs to change the effect of another drug you have taken? Do you feel . . . nervous, hopeless, restless or fidgety, so depressed that nothing can cheer you up? Do you feel that everything is an effort, worthless? Has a medical doctor ever prescribed medicine for an emotional problem such as depression or nervousness? Have you been hospitalized for an emotional or behavioral problem? 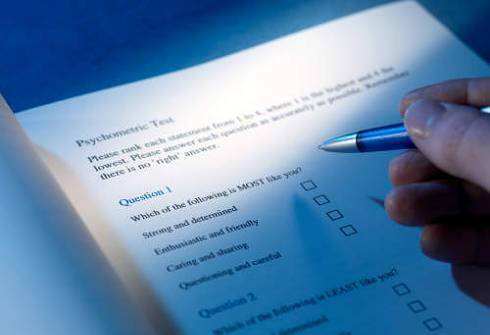 Did you receive special education services in school for an emotional or behavioral problem? Have you ever spoken to a psychologist or counselor about an emotional problem? Have you ever received treatment for an alcohol or drug problem? Do you have chronic medial problems that continue to interfere with your life? Are taking prescription medicine for a physical problem? Does someone contribute to your support? Does it constitute the majority of your support? How many people depend on you for their support? Are you satisfied with your living arrangements? Do you live with anyone who has a drug or alcohol problem? Have you even been a victim of emotional, physical or sexual abuse? What is your frequency of drug or alcohol use? Do you administer drugs orally, through an IV, smoke, nasal snort? Which substance is a major problem? And just how long do you think this process takes? Is it long enough to justify the millions of taxpayer dollars going in to such programs? These are defendants who have been arrested for a crime and have not yet had their day in court. Why are they being coddled by the pretrial services programs and asked such intrusive questions? These defendants have not been found guilty, ordered to probation, drug or mental health programs or any other “program” as a condition of their sentence. Such heavy-handed “intervention” at the front-end is what your tax dollars are being spent on when most defendants can afford to simply pay a nominal fee to bond out of jail. And if they can't afford a monetary bond because they are truly inidgent, let the Judge take the onus for releasing the defendant on their own recognizance. Then we have just the opposite system of release: the swipe-and-go credit card release system! This type of release is when an out-of-state software company is allowed to set-up shop in a county jail and for a hefty non-refundable fee, allows a defendant or their family to “swipe” their way out of jail. And oh by the way – whoever runs the jail gets a piece of the pie as well. For every defendant who swipes their way out, the jail gets a percentage of the transaction. How will this software company ensure that defendants actually show up for their court appearance? What will they do if defendants fail to show? They will do nothing to ensure that those who swipe their way out of jail are present in court. The jail will use more of your tax dollars by having their officers or other law enforcement officers try and find the absconded defendant when they aren’t fighting crime. How is this method of release, where a company takes a non-refundable premium from a defendant, any different from the private surety bail industry? Both obtain a non-refundable premium but with a bail agent, they are 100 percent financially responsible if the defendant fails to appear for court. Under the other methods of release, the taxpayer is responsible. And a pretrial services program is about as responsible as the credit card vendor for a failure to appear. If a defendant doesn’t show up for court it’s only a negative statistic for the program. They simply tell the court the defendant “violated” his/her pretrial release and more of your tax dollars are allocated for the sheriff to go out and again try to find the defendant. With a bail agent, it is their livelihood and business on the line. Feeling generous yet with you tax money this holiday season? The private surety bail industry has been characterized by government-funded pretrial services programs as “greedy bail agents” and who “exact” money for bail from defendants while leaving those who can’t afford bail to languish in jail. They have even stretched their theories to state that jails are overcrowded because of bail agents! Statistics 101: a correlation does not translate in to causality. The truth is that small and repeat bonds are the bread-and-butter of many bail agents. We all know there are many repeat offenders in every community. Bail agents build up a client base of such defendants who know that the agent will find and re-arrest them if they don’t abide by the bail contract – appear at court and stay out of trouble! Research has proven that most defendants are able to bail out of jail within 24-72 hours. Bail agents are a critical component of helping to keep jail populations in-check. And the cost of bail to the defendant? A nominal fee of 10 to 15 percent of the bond in most states; this translates to approximately $100 - $500 maximum for most defendants. Contrast that with a pretrial services officer making from $16 to $25 an hour interviewing hundreds of defendants with their lengthy “risk assessment” tool and it adds up to substantially more than a bail bond would. Not to mention the time defendants remain in jail having to submit to such assessments when they could have been released on a bail bond using no taxpayer funds. Talk about affecting jail overcrowding! Pretrial services programs and swipe-and-go systems completely remove any transfer of responsibility to a licensed and bonded agent who lives and works in the local community. It removes the economic interest that an agent has in making sure the defendant shows up for court. By doing so, we see a reduction in the “show up” rate for court, a rise in repeat crimes, and extra costs to taxpayers for requiring law enforcement to retrieve the missing defendant. Research has proven that failure to appear rates are higher for defendants released on their own recognizance, deposit bonds and other non-secured release methods, while the private surety bail industry has the lowest failure to appear rate. Our country continues to face an unprecedented economic crisis that still may take years to recover from. State and local governments have drastically cut budgets while raising fees for services and passing those costs on to already financially-strapped citizens. Private surety bail affords the opportunity to reduce jail overcrowding, increase public safety and improve compliance of those defendants released into the community pending case disposition. Any release method should always take into account the best use of taxpayer dollars and public safety. “The fact is that government can always compete with private industry and with the use of tax dollars can put almost any business out of business. If the government wanted to, they could lend money as banks; they could pay more interest than banks. If government wanted to be in the insurance business like private citizens, it could certainly do that. We just put it on the taxpayers’ backs." "Hell hath no furry like a bureaucrat who’s been asked not to compete with private industry!" As we leave 2010 behind and enter in to a new year, citizens all over the country should become vocal advocates and demand that their valuable tax dollars not be wasted by governments wanting to become bigger and bigger to justify their existence to the detriment of public safety. Hold those who choose to commit crimes accountable for their behavior and their release. Public policy affects public safety. 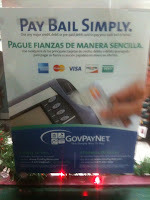 Private commercial bail has been proven to be the most efficient and effective form of pretrial release. Bail agents are financially and physically responsible for defendants released on bail. The commercial bail industry is user-funded and uses no taxpayer dollars. We hope our blog will educate you on the differences between our industry and taxpayer-funded pretrial services programs, which use millions of tax dollars to release arrested defendants, many of whom can afford their own release. Accredited is one of the most respected privately held insurance companies involved in the commercial bail industry. We promote the public safety and taxpayer benefits the industry provides nationwide. Accredited Surety and Casualty Company, Inc. was founded in 1971 by Hardy M. "Hank" Snow, a pioneer leader in the bail industry. Now in its 40th year, Accredited is led by Mr. Snow's daughters Deborah Snow and Sharon Jallad. 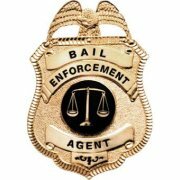 Accredited specializes in the underwriting of bail bonds and has a strong network of agents in 47 states. The company has earned an "A" rating from A.M. Best for excellence. Accredited exemplifies leadership in the industry to establish higher licensing standards and maintain effective bail statutes nationwide in order to enhance public safety. Accredited and its leaders have been recognized numerous times for their professional and civic contributions.